Item # 310840 Stash Points: 1,495 (?) This is the number of points you get in The Zumiez Stash for purchasing this item. Stash points are redeemable for exclusive rewards only available to Zumiez Stash members. To redeem your points check out the rewards catalog on thestash.zumiez.com. With a classic aviator-inspired silhouette, the Moya Clear Sunglasses bring a modern aesthetic. With clear, yet 100% UV protecting lenses, this unique pair gives a current twist to this retro design. 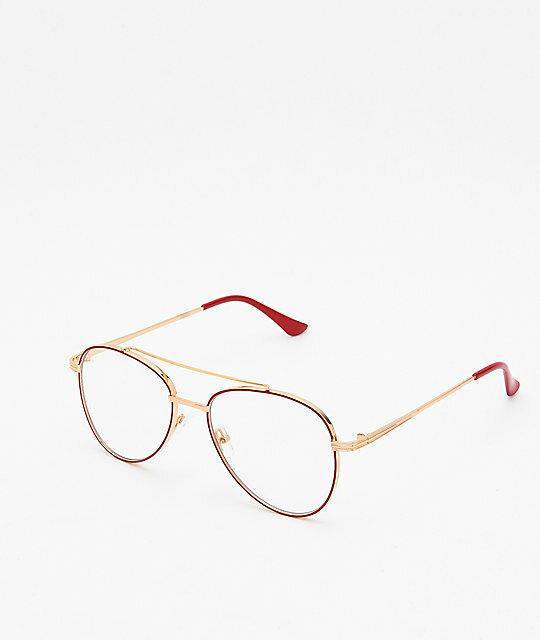 Rose gold and red frames with rose gold arms. 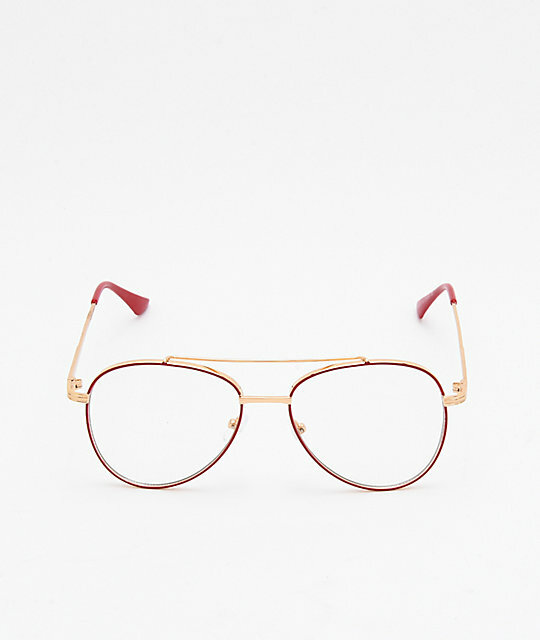 Frames in an aviator shape.